Update: New features are being rolled out to Wear OS to make it smarter and easier to navigate. And if you haven't updated yet, go ahead and find out if your smartwatch is compatible in our list below. Google's Wear OS is the new name for Android Wear, so if you were expecting to see Android Wear 3, please reset your smartwatch software expectations. There are more than 40 Wear OS watches today that launched with Android Wear software, but most have now been given the new name and logo in a software update. That has been an easy change for Google to make. New features, however, are the bigger story, and while they didn't arrive with the name change some are now here and others are coming shortly, all of which you'll find information on below. In the meantime, you might want to check the update screen on your wearable and see if the software is ready to go. Rumors suggest there's a Google Pixel Watch in the works too. It will be designed specifically to show off the software's full potential, and that's just one of many new Wear OS watches we'll likely see over the coming months. Why the new name? Google's official announcement on March 15, 2018 pointed to the fact that as one in three Wear OS users owns an iPhone, Android Wear as a name is rather limiting. "We’re now Wear OS by Google, a wearables operating system for everyone," said Google in an official statement. "We’re announcing a new name that better reflects our technology, vision, and most important of all - the people who wear our watches." Simply put, even if you own an iPhone X, you shouldn't be turned off from buying into the Wear OS ecosystem and sent into the arms (wrists?) of the Apple Watch 4. Wear OS smartwatches are due for an update, way more than Google changing the name from Android Wear. That's really not all we wanted from Android Wear 3. "You’ll begin to see the new name on your watch and phone app over the next few weeks," said Google in March and that has been the case for most modern Android Wear watches. That's just the start though. Before Google IO 2018 kicked off on May 8, Google announced a number of improvements coming to the platform and since then we've heard about even more, some of which have arrived, others of which are coming soon. We'll explain these in greater detail below, but we know that Google Assistant is now far more useful on the platform. What watches are getting Wear OS? 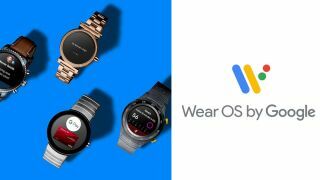 Google has provided a list of devices that have now been updated to the new Wear OS branding. Whether all of the watches below will get the new features when the next update comes around remains to be seen, but we have high hopes for most on this list considering each is getting the Wear OS branding. Of course, watches that have launched since Wear OS arrived all run it out of the box. These include the Skagen Falster 2 and Fossil Q Explorist HR. We've also heard word that there will be a new flagship Wear OS device later this year called the Google Pixel Watch, plus there are rumors of an LG Watch Timepiece. New Wear OS features were announced during IFA 2018 in late August and should be arriving any time now. In fact, go and check the update screen on your wearable to see if the software is ready to go. A lot of the new changes are cosmetic ones, with an improved, cleaner interface for notifications, the Google Assistant, and the newly revamped Google Fit. It also includes a complete overhaul of the interface, which will now let you access Google Assistant by swiping right from the watch face, and having Assistant itself be more proactive. For example, it might display the status of your flight when it sees that you're at an airport. In other words it will aim to help without even being asked and will apparently get better at this over time. "As you go about your busy day, every minute matters," Google says. "We're evolving the design of Wear OS by Google to help you get the most out of your time – providing quicker access to your information and notifications, more proactive help from the Google Assistant, and smarter health coaching." Swiping left meanwhile will let you quickly start tracking a workout or view other health and fitness tracking information, such as your step count. Swiping up will still show you your notifications, but now they'll be in one continuous stream, rather than separate screens. And if you swipe down you'll still see shortcuts and quick settings, but a greater number of them will be displayed. This will be the second big update since the change in name to Wear OS. Before that, Google outlined new features that were headed to Wear OS a few days before Google IO 2018. First up, smart suggestions are available on Wear OS through Google Assistant. If you ask about the weather, Google Assistant will not only show you the current weather outside, but also give you a forecast for several days ahead and suggest follow-up queries that you can tap on. Answers to queries are also much more thorough thanks to the update. Instead of being told only when the next train is coming, you'll now see a full train schedule, for example. This makes Google Assistant much more useful on the wearable platform. Another example we saw at Google IO showed a full picture of the Eiffel Tower when you ask a question about the famous French landmark as well as details on how tall it is. Google Assistant is also gaining a voice on Wear OS. If your Wear OS device has a built-in speaker or is synced to Bluetooth headphones, you'll get audible cues from Google Assistant, just like you would any other Android device. Actions are also coming to Wear OS, which basically means you can use your smartwatch to control smart devices in your home. Talk about gaining power! One example we saw at Google IO allowed you to control an LG robot vacuum through the display, but this should work for a variety of other smart home tech too and allow you much more control of your devices from your wrist. Before we heard details about Wear OS, we put together a list of things we wanted to see from the new upgrade. Below you can still read that list, which includes some things we've got from the update as well as things we've yet to see. Android Wear didn't have the kind of app problem that plagued Windows Phone, but it could definitely use a wider selection in the next big Wear OS update. It's trailing the kind of developer support we see from Apple's watchOS, which will see a watchOS 5 update at WWDC 2018. That’s surprising. All of the Wear OS smartwatch combined aren't as popular as the Apple Watch series, but it’s a vicious circle – without the apps these smartwatch are never likely to reach Apple Watch-level popularity. So we’d like to see a wider selection with the Android Wear 3.0 release. We don’t know how Google will manage this, but we have faith. Two problems that plague many Android Wear devices are weak battery life and middling performance. Faster chipsets and bigger batteries (if manufacturers can find a way to squeeze them in) are the most obvious solutions to that, but Google could probably help at a software level. If it can make Wear OS more lightweight and efficient than previous versions then we might be able to get noticeable speed and life boosts on existing hardware. Android Wear and the forthcoming Wear OS update now work reasonably well with iOS, but the experience is still more limited than if you have an Android phone, as, for example, notifications can’t be interacted with in as many ways, leaving you unable to respond to WhatsApp messages and the like. There’s also no iMessage support, and while we can’t see that changing, as it would presumably require additional cooperation from Apple, we’d like to see Google work to get the core experience up to the same standards when paired with iOS as it is with Android. One of the downsides of Android on phones is that new versions of the operating system often take a long time to arrive on handsets, if they arrive at all. That’s partially down to the heavy skins manufacturers put on their devices, meaning they have to work a lot harder to get the update functional. This should be less of an issue on Wear OS, since while manufacturers offer some light customization it’s broadly the same across devices, yet Android Wear 2.0 still took a long time to arrive on some watches and many older ones didn’t get it at all. For Wear OS, we want every watch that currently has Android Wear 2.0 to get the update (unless there’s a hardware reason it can’t) and for all of them to get it in a timely fashion. If you’ve got an Wear OS device, you can have your Android phone or Chromebook automatically unlock when connected to it, but the same skill can’t be extended to a Windows or Mac computer. Since we’d wager most people have one of them this is a big omission, albeit an understandable one, since they’re not running a Google operating system. If at all possible though we’d like Android Wear 3.0 to let your watch unlock non-Google devices. Google Cast is a great way to get media from your phone to your TV or stereo, but the same feature doesn’t exist on Android Wear. Arguably it would be less useful on a watch, but there are certainly times when it would be handy to be able to cast music from our wearables to a Chromecast Audio. With version 2.0 Google polished Android Wear’s interface, but there’s still work to be done to make interacting with these tiny screens easier. We want Wear OS to further polish and refine the interface, but in terms of specific improvements we’d love to see an easy way to get back to a workout or call screen from the home screen. On our phones there’s a green bar at the top for calls and the recent apps menu for everything else and neither is more than a tap or swipe away, but on Wear OS navigation doesn’t feel quite so simple, and a single tap – whether accidental or intentional – can leave you far from where you were before.